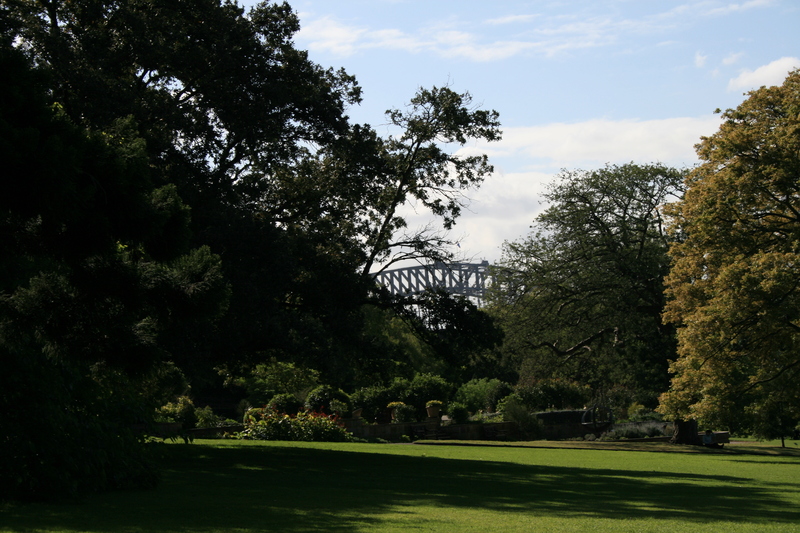 Part 4 of my 10-Days-Special on Australia is concerned with Sydney again: One thing you shouldn’t miss in Sydney is a stroll around the Royal Botanic Garden and the Domain, a park that borders with the Royal Botanic Garden. This area is conveniently located east of the CBD and ends infront of the opera and borders Wooloomooloo harbour’s western side. From here you can take great pictures of the opera and the bridge at sunset. But be careful, the park closes at a certain point after dark. We found that out the hard way. Having lingered a bit longer we found ourselves behind closed doors when we wanted to leave the park and even when going to different gates, there was no way to get out. But there are signs with a phone number which you can call in that case, so we at least knew that this happend frequently. And yes, when finally there was someone to get us out of the park, four more people appeared at the gate who had found themselves locked in too. The area is huge and there are many different parts. From the fern house, to the Palm Garden (which actually is more like a jungle), to the Asian Garden, everything is big, big, bigger. 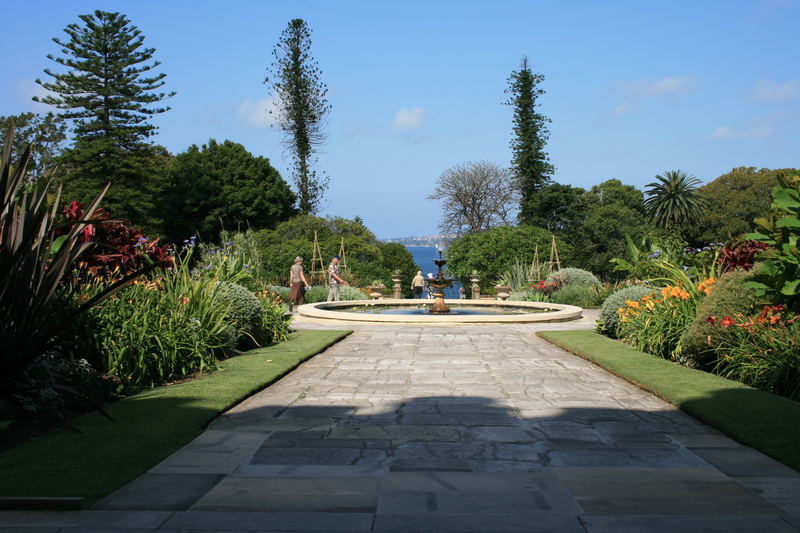 You can see exotic plants, and everything is beautifully landscaped (something that wedding parties seem to like as well. Whenever I was there on the weekend, I would find couples posing for wedding pictures). And as the park borders the harbour so nice waterviews are included. Stop at Andrew (Boy) Charlton Pool for a swim or a drink at the poolside cafe which is accessible also for nonswimmer. And you can take free guided walks: 1.5 hour tours for individuals or small family groups depart daily at 10.30 am (except Public Holidays) and 1 hour free walks are sceduled monday to friday at 1 pm (Mar-Nov only, except Public Holidays). Both walks depart from the Information Counter at the Palm Grove Centre in the middle of the Botanic Garden. 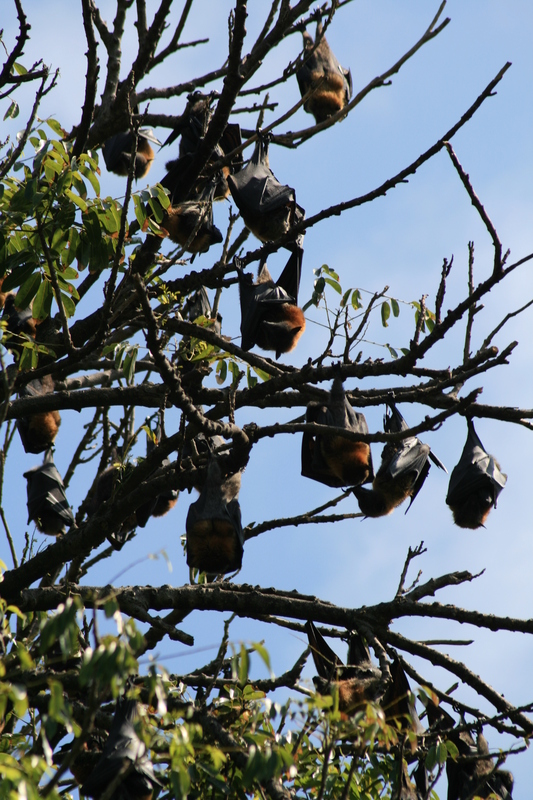 But the biggest thing in the Botanic Garden are the bats, or rather flying-foxes which have size of at least 50cm when they spread their wings. Thousands of them live in the Botanic Garden. During the day they hang from the trees there and make a hell of a noise. They squeak and cheep and it is a bit scary walking under trees that are full of those animal, some of them flying around and changing sleeping places every now and then. But then, it is just another weird species from Australia and at least they are not poisonous. 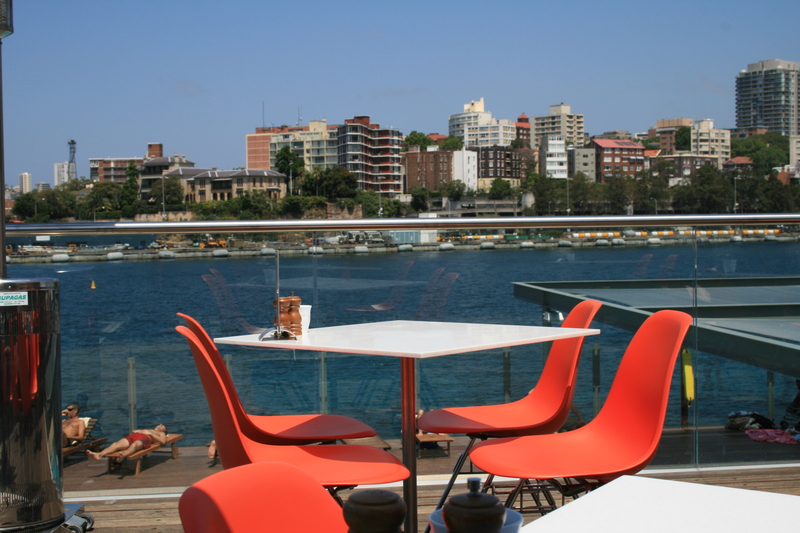 A trip to the Botanic Garden doesn’t take a whole day and can be combined with either a trip to The Rocks, shopping in the CBD or a trip from Woolloomooloo’s Finger Wharf 10 with fancy restaurants to backerpacker area Kings Cross. 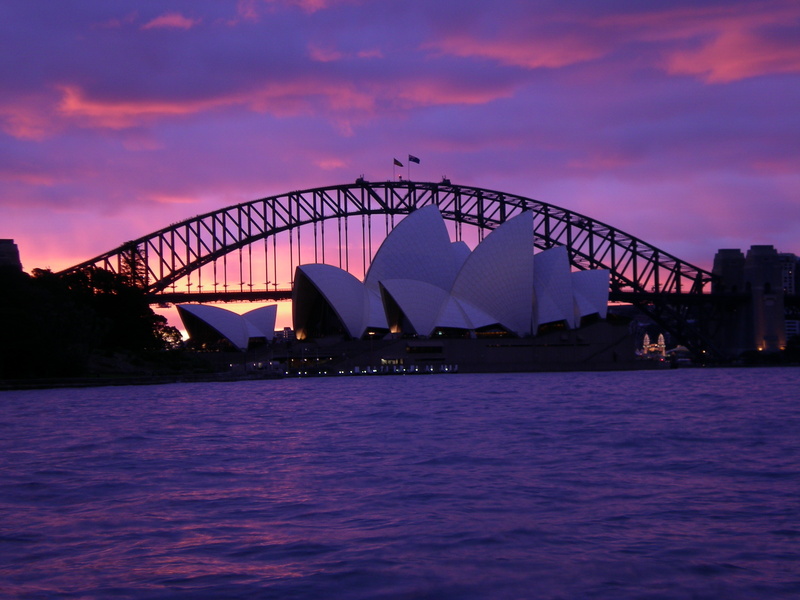 Other sites around include St. Mary’s cathedral, Sydney Mint Museum, the Art Gallery of NSW and Hyde Park Baracks (go here to find out more about the convict history of Australia). 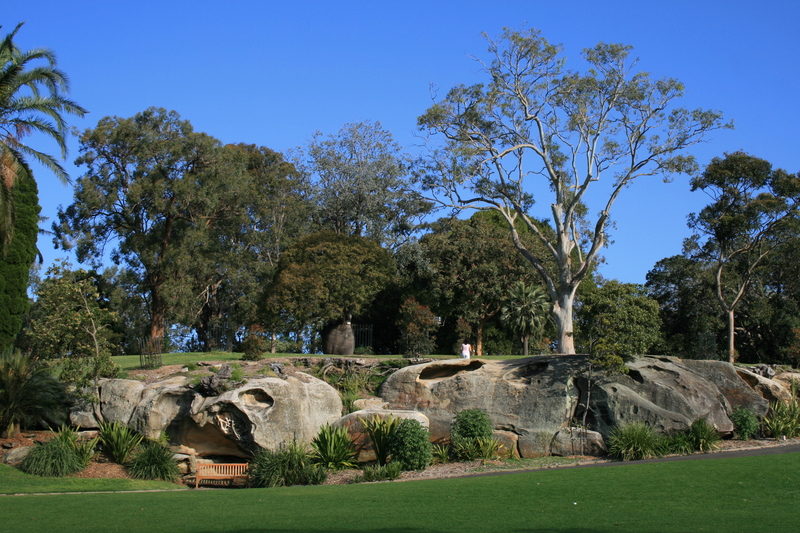 This entry was posted in Australia and tagged Botanic Garden, Park, Sydney by kathatravelling. Bookmark the permalink.